I have been on a quest to organize my classroom for the past number of years. Every year I'm getting better at it, but there's always room for improvement! One of my summer projects was to make my binders more visually pleasing, and also make it easier to find what I was looking for. 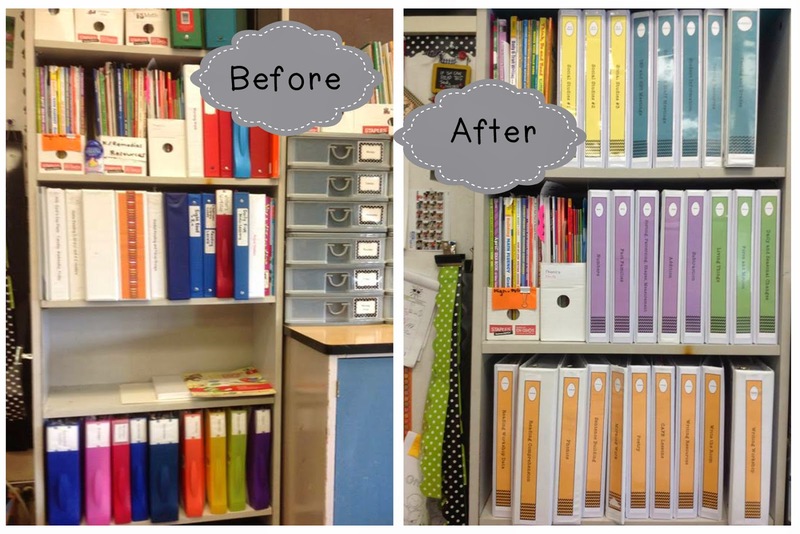 I created these binder covers and labels and I've really been enjoying how my teacher area looks and functions as a result! 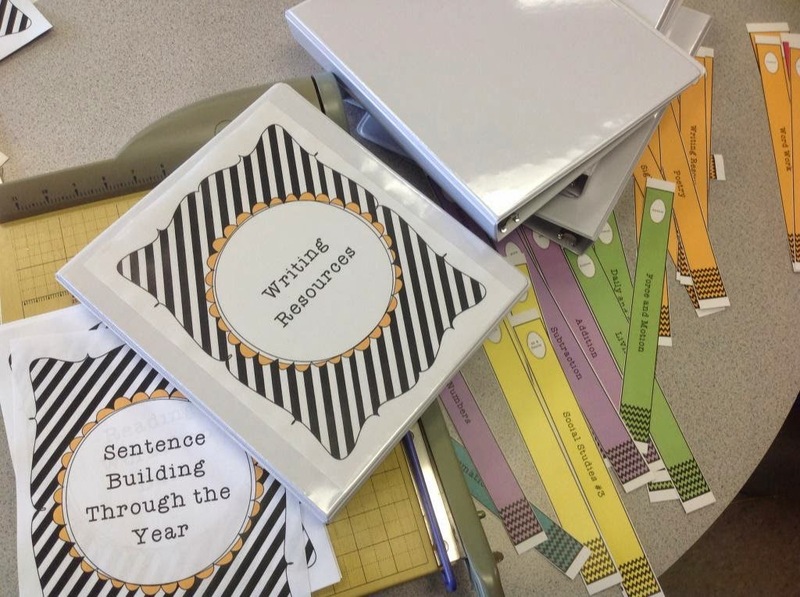 I liked making my own because then I could get as specific as I wanted to, such as with my Sentence Building Through the Year binder. Each curriculum area has its own color, so it's super easy to find my admin, science, math, social studies, and language arts resources in seconds. I also have monthly/thematic binders (the colorful binders shown in the bottom of the "before" image). I work much better with binders than with file folders. Something that I discovered by accident is proving to be a handy organization tool for me! At home we have a bunch of slightly off-white printer paper. I tend to print most of my masters at home, because I have time to search for just the right printables, and that is also where I create my own. Now that I have been doing that, I've been loving that I can quickly separate my masters from the student copies. I used to use a yellow highlighter to mark off my originals, because in general the yellow doesn't show up on subsequent copies. I might occasionally still do that if I happen to print something at school, but for now, I'm loving my new system! I have WAY more resources than are shown in the above images. One of my current goals is to go through my old resources and purge 60% of them. Yup, I have way too many things in my hallway storage, and it's time to say goodbye, and hopefully send them to better homes! I love your organization tips! Thank you! 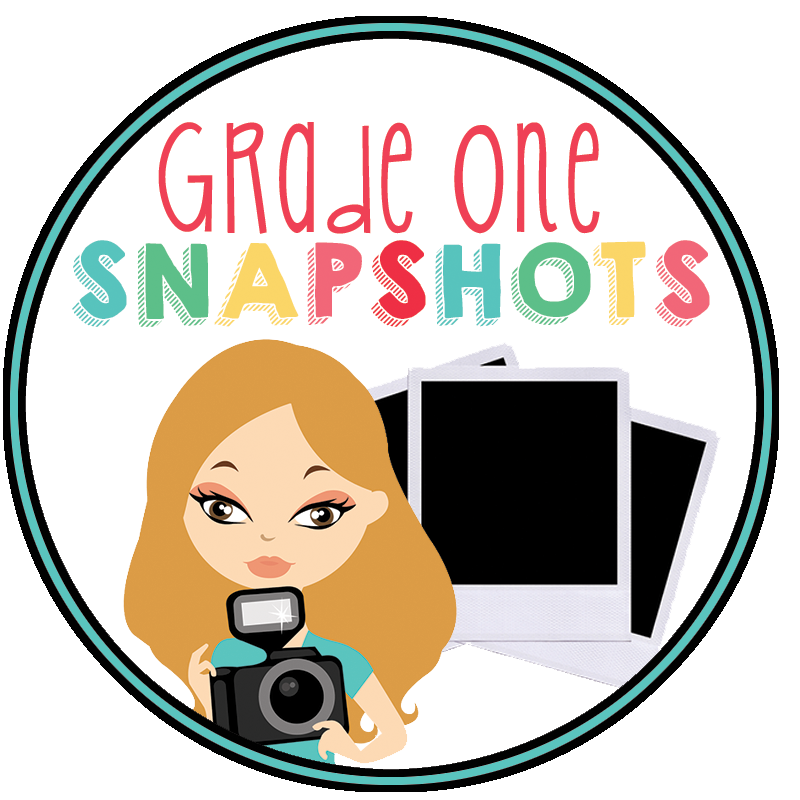 If you're in need of a better home for some resources…I'm your gal! haha! Good luck!